High blood pressure is a major health concern because it can lead to so many other health issues. Blood pressure is directly linked to heart health. High blood pressure can lead to damaged valves that cause venous insufficiencies and other circulation problems. Long-term high blood pressure can weaken the heart and raise the risk of cardiac problems, including heart attacks. It can also lead to vision loss, lung problems, kidney damage, memory loss, and erectile dysfunction. Given how serious the results of chronic high blood pressure can be, it would make sense for the medical field to take it seriously. But common medications that people are recommended to take on a regular basis often raise blood pressure. Acetaminophen, birth control, antidepressants, and caffeine (present in migraine pills), all raise blood pressure. Why would doctors recommend regularly taking medication for one condition, that will only seriously raise the risks of another? Part of the answer, of course, is money. Doctors push medication because it brings in cash flow. I have a relative who was on blood pressure medication as well as garlic supplements, and the doctor told her to stop taking the garlic. The garlic had been more effective than the medication, and her blood pressure started to rise again. Unfortunately, profits sometimes take precedence over actual health. But another factor is that doctors often view patients and scenarios one-dimensionally. If you want to manage pain, they help you manage pain. If you want to prevent pregnancy, they put you on contraceptives. For healthy people, this approach isn’t necessarily terrible. But for people with complicated health profiles, it can be dangerous. Depression and other mental conditions can raise the level of stress in one’s life, so chemically raising blood pressure can really tip the scales into dangerous zones. People with chronic pain also endure a lot of physical stress, so regularly consuming acetaminophen can severely raise the risk of heart problems down the road. Many doctors see patients only by their most obvious health problem, leading to people with physical or mental disabilities being treated one-dimensionally, and more health concerns in the long run. More widespread education about the effects of sodium on blood pressure, clear illustrations on what proper sodium intake is, and alternatives to salt in everyday food choices. These steps need to be implemented widely and at every age bracket. Traditionally, blood pressure is something that people worry about once it’s already too high. But focusing on heart health among youth is crucial for prevention. Diet is one of the most effective ways to prevent blood pressure issues, and managing medications is a close second. If medical professionals focus on prevention and overall health rather than treating the most obvious health problems, patients will see better outcomes. This is especially important for people with chronic conditions — if all the focus is on the most visible issue, overall health will suffer. 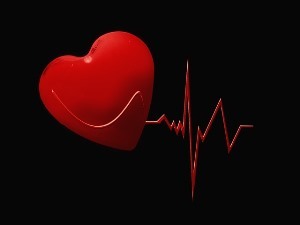 What Are The Major Causes Of Abnormal Heart Rhythms? Once you have issues with your heart, please make sure to take care of this muscle or it will effect your health tremendously.